Meeting Andrea Lambert in her Echo Park abode which overlooks the famed park itself from a great height, Jacquelyn Davis recorded their conversation with the intent to share Lambert’s literary influences and individual writing perspective, as well as to better investigate the construction of her first novel Jet Set Desolate. Two excerpts from her debut are provided. This talk was originally recorded on January 26, 2011. Andrea Lambert is an American writer and artist residing in Los Angeles. 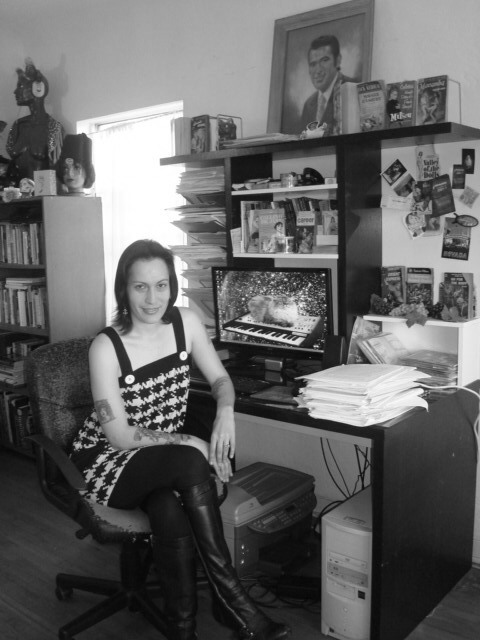 She is the author of Jet Set Desolate (Future Fiction London) and Lorazepam and the Valley of Skin: Extrapolations on Los Angeles (valeveil press) which was published alongside the anonymously titled work 730910-2155. Lambert’s writings appear in 3:AM Magazine, You’ve Probably Read This Before, Chronometry and Lime Tea. She is currently working on a punk novella set in 1990’s Portland, titled Scaffolding.